HTTPS? What does it mean? HTTP is the language that your browser uses to communicate to BHL and the S stands for Secure, encrypted, unreadable, or at least much, much harder to read.The web is moving to encrypted connections across the board. In 2014 Google announced that their page rank algorithm that decides the order of your google.com search results will now rank insecure pages slightly lower than secure pages. From security to rankings, encrypted connections are better for everyone. 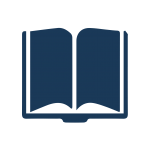 Effective February 27, 2017, the API methods GetPartEndNote and GetTitleEndNote will be removed. In addition, the BHL data exports that used the related format have already been removed. The removed BHL API methods and data exports will soon be replaced by methods and exports that use the RIS format, which is supported by a wider range of bibliographic reference managers. Thank you for your patience as we work to implement the RIS-based exports and API methods. If you have any questions, please submit them via our feedback form. 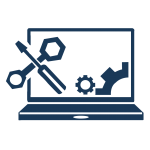 You can learn more about our developer tools and APIs here. A new and enhanced commenting system is being planned for BHL. The current commenting system will be disabled on July 5. 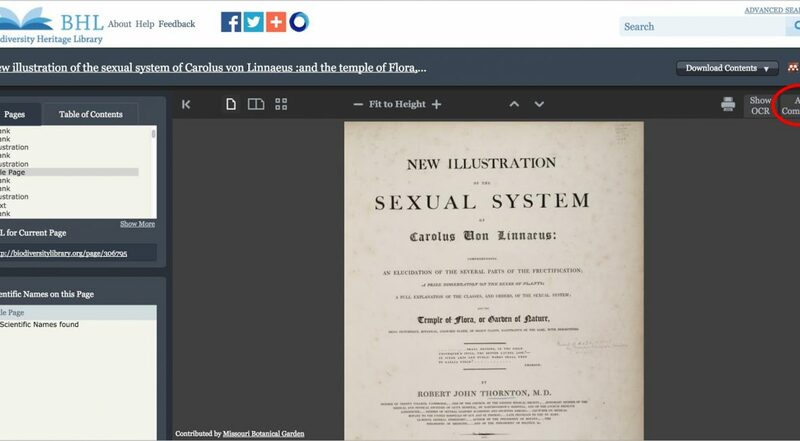 In December 2015, we launched the ability to add comments to pages in BHL books. 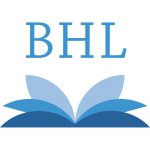 There will be a planned outage of the BHL website for scheduled maintenance on Tuesday, 1 March 2016, beginning at 6pm CST and lasting approximately two hours. We apologize for the inconvenience and thank you for your patience. 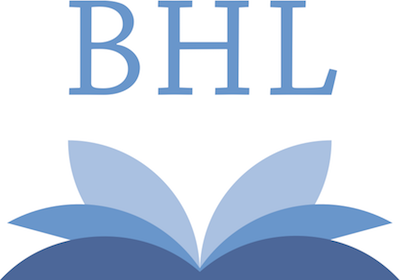 During the outage, you can access BHL’s content via Internet Archive. New Feature on BHL: Add Comments to a Book! UPDATE: A new and enhanced commenting system is being planned for BHL. The commenting system described below has been disabled as of July 5, 2016. | We are pleased to announce that we have added the ability to add comments to books in the BHL website! 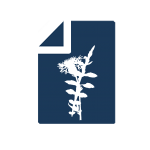 This new feature will allow you to easily share your discoveries while reading BHL books, highlight interesting content, post your expertise for others to see, engage in conversations about BHL books from directly within BHL, and easily discover all of the great posts from your fellow biodiversity-enthusiasts. Keep up with all the latest technical development news from the Biodiversity Heritage Library, including announcements of new features and improvements to library services, with our Tech Blog.